den­tures or failing teeth into fixed implant-based teeth in a single day. The team is made up of three key people: the Surgeon, John Bridgman, the Restorative Specialist, Andrew Newsom and the Dental Technician, Ben Cowman. This team has worked together in the Bay of Plenty to provide full mouth implant treatment for over 8 years. Many people have been treated by this team and give testament to the benefits of this treatment. The Surgery is undertaken in the morning at the McIndoe Clinic in the rooms of Tauranga Oral and Maxillofacial Surgery. This is done with intravenous sedation which provides for pain and stress free surgery, After about an hour's break, patients are transferred next door to the rooms of Prosthodontist Andrew Newsom for a pre-made denture to be converted and fixed onto the implants. By the end of the day a patient can go home with a fixed temporary denture. This temporary denture is used for 6-12 months as a trial before the permanent denture is made. because the teeth are fixed and stable there is less trouble with ulcers around area of movement compared to traditional dentures. An implant bridge to replace all of your upper or lower teeth can cost as much as $30,000. Whilst this treatment is expensive, with the frustrations of loose dentures or fragile and ineffective teeth behind them, few pa­tients ever regret their decision to have had this treatment. 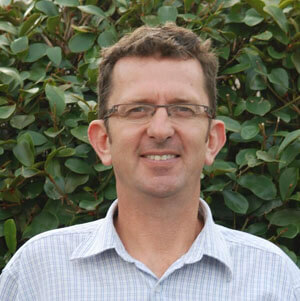 Andrew began his dental career at the University of Otago in 1996. He worked in the UK for 6 years completing a diploma at the Eastman Dental Institute, London. 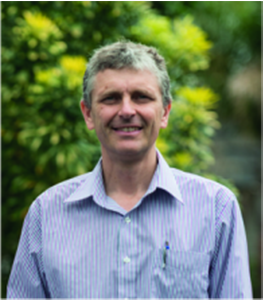 He completed his specialist degree in Prosthodontics at Sydney University and works as a consultant for Tauranga Public Hospital. He has been working and living with his family in Tauranga since 2004 and has been involved with complex implant cases for over 15 years.